Found Via Keegan Wenkman at Serial Machinist, from Kyle Van Horn’s collection. Nice press! How old do you think that flyer is? 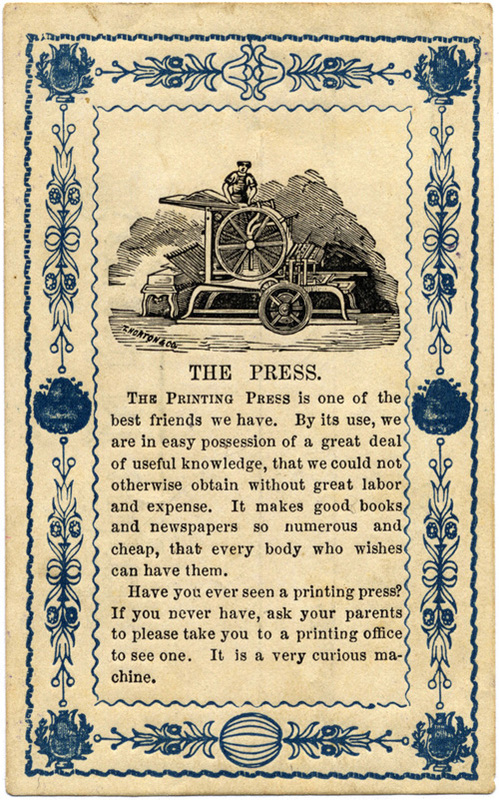 The back of it is labeled Feb. 4, 1870, but the printing is older than that.